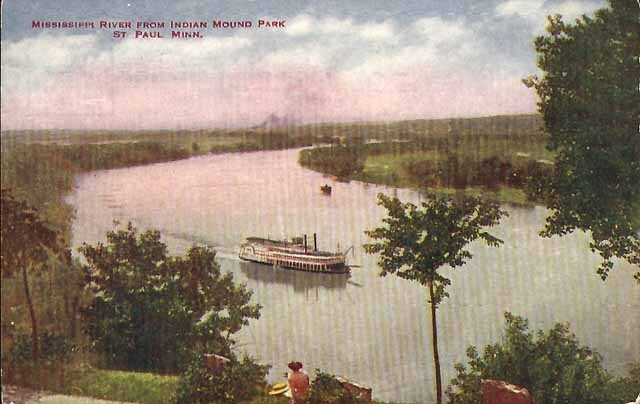 Just beyond the easternmost Indian Mound, there is a scenic outlook that gives a nice view of Mississippi River below. 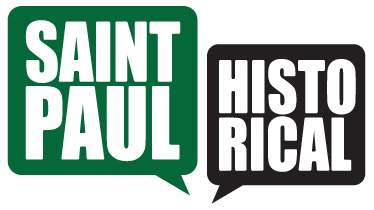 In 1954 The Geological Society of Minnesota and the city of Saint Paul placed a plaque on a limestone structure that gives a brief summary of the area’s geology. 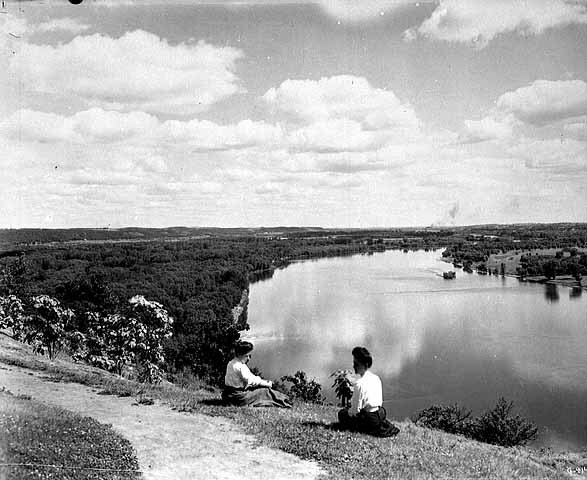 It points out that the steep slopes of the park were caused by the channeling of the River Warren, which drained historic Lake Agassiz as the glaciers melted. 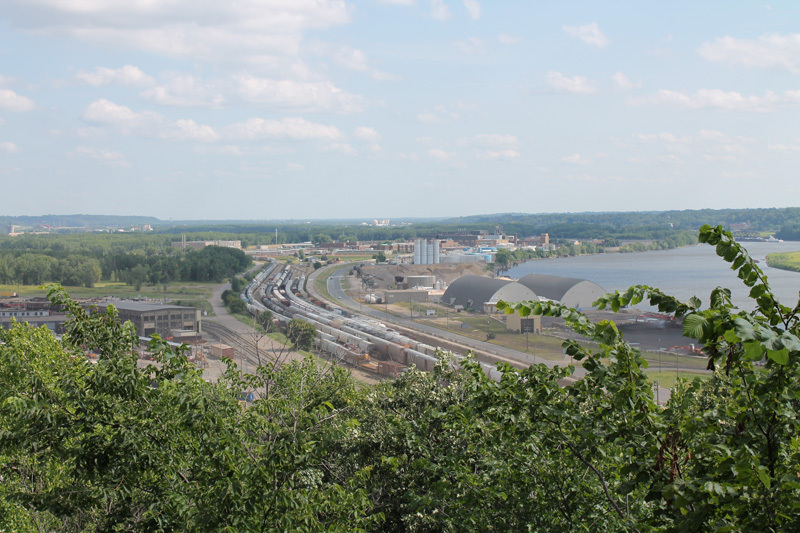 The massive flow of water created the broad valleys that now contain the Minnesota River and the Mississippi River below Fort Snelling. 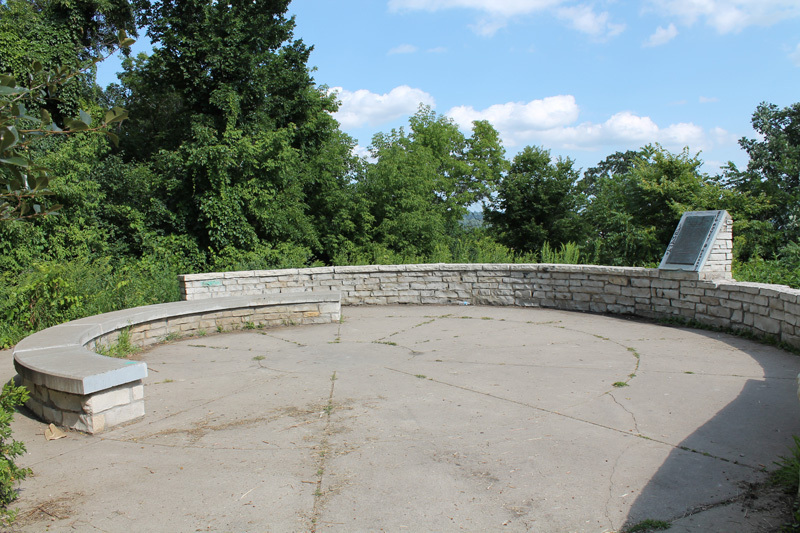 This spot in Indian Mounds Park sits on the northeastern edge of the valley where the Mississippi turns to the south. 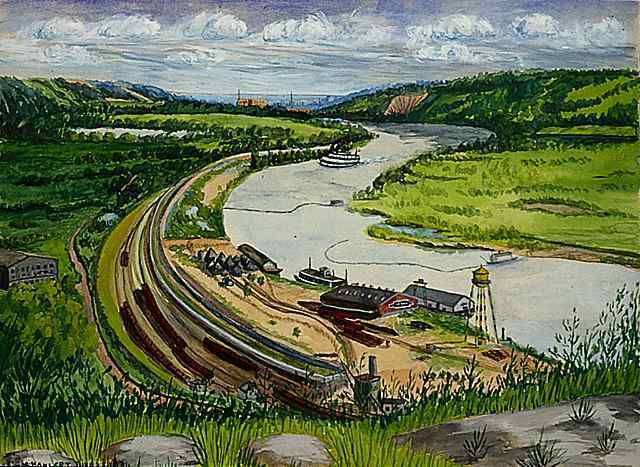 Steve Trimble, “Scenic Overlook,” Saint Paul Historical, accessed April 21, 2019, https://saintpaulhistorical.com/items/show/185.